Browse our Mexico Babymoon packages and find your dream getaway in the sun! This boutique hotel boasts a secluded beach and some of the best surfing in Los Cabos. Relax in your oceanfront room or villa as you drift off to the sounds of the surf just outside your door. Go for a swim in the gorgeous infinity pool or pamper yourself at the Hotel's new Sea Spa and Salon. Satisfy those cravings with exquisite oceanfront dining at the 7 Seas Restaurant. Enjoy a babymoon to remember at this luxury, adults only, all-inclusive resort. The resort's setting is stunning - nestled between lush, tropical foliage and a long stretch of sugary-white beach. 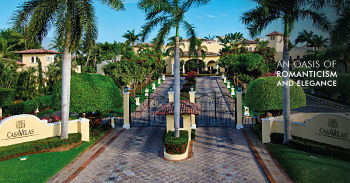 Located in Riviera Maya, the resort is only a short ride from Playa del Carmen. 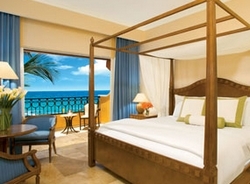 Secrets Capri Riviera Cancun recently earned a spot on the esteemed 2009 Condé Nast Traveler's Gold List. All meals, drinks and most activities are included in the room rate. Sometimes all-inclusive dining means mediocre meals, but not here! Choose to dine at seven different restaurants including the not-to-be missed Oceana for gourmet seafood and breathtaking beach views. Although spa services are not included in the all-inclusive rate, a visit to the resort's 13,000 square foot spa is definitely worth the added expense. Featuring a relaxing lounge and couples massage suites, Secrets Spa by Pevonia offers over 30 different spa services. Casa Velas describes itself as an 'oasis of romanticism and elegance' - and this adult-only, secluded private estate both lives up to and exceeds its description. The hotel is located along the fairways of the Puerto Vallarta 'Marina Vallarta Golf Club' and is also just seconds from the beach. The nearby downtown area is vibrant and exciting, with its colorful markets, art galleries, restaurants and shops, whilst the stunning Los Arcos Ampitheater offers nightly performances, with local foods and artisans. From its beautiful garden setting, to its tranquil infinity pool, Casa Velas exudes luxury and promotes relaxation, ensuring you experience unforgettable babymoon memories you'll treasure forever. One photo shoot for the couple (includes one album with 20 printed photos). How would you like to enjoy a relaxing babymoon in the heart of the Riviera Maya, on the shore of the Mexican Caribbean? Then plan your pre-baby vacation at Le Rêve Hotel & Spa, a boutique property describing itself as "hidden in the jungle" 45 minutes south of Cancun. Mexico babymoon package features subject to change. Please verify features directly with the facility at the time of booking.